Vivian G. Clark died peacefully on the evening of April 6, 2015, at the age of 87. She was born January 22, 1928, to Martha and Chris Hoer in Westphalia, Missouri, where she graduated from St. Peter High School in 1945. Vivian married John C. Clark in 1951. They then moved to Colorado where they lived in Fort Collins, Montrose and Denver before raising their 4 children in Glenwood Springs and returning to Denver. For the past 4 years she has been a resident of Holly Creek Christian Living Center. Vivian was a noted secretary throughout her life. She had extremely good skills in both shorthand (her work preceded the advent of dictation and transcription devices) and typing. After a hiatus of 15 years, she took a job as a legal secretary for Parkinson, Stewart and Stoddard in Glenwood Springs. After moving to Denver in 1974, she worked for Regis College until 1980. At that time, she went to work for Coughlin & Company until her retirement in 1993. 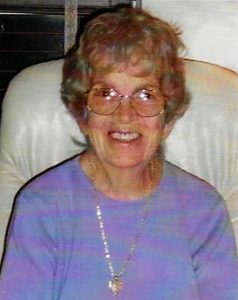 Fortunately for her family, she then helped care for her grandchildren and nannied and babysat for friends. Vivian was preceded in death by her son Ben in 2003 and her husband John in 2004. She is survived by son John Jr. (daughter-in-law Leslie, grandchildren Mandy, Mara and Troy), her daughters Christina Hanneman (grandchildren Cassy and Jacqueline) and Mary Ballard (son-in-law Todd, grandchildren Chris and Sean Scanlan), and Ben’s family (Jamie, grandchildren Katie and Hailey Clark). Vivian was a beautiful soul whose presence on this earth will be greatly missed. She was patient, humble and kind, and handled everything that came her way with grace and acceptance. She treated everyone with compassion and lived her life the way God asked of her. She loved a good laugh, a good read and most of all time with her family. Her absence will be greatly felt by her children and grandchildren. 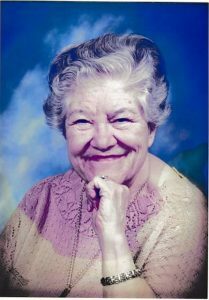 Her family is comforted by the knowledge that she is now with the Lord, whom she served so well. Visitation will be held Sunday, 2-4pm, with a Rosary service following at 4pm, at Horan & McConaty Family Chapel, 5303 E. County Line Rd., Centennial. Funeral Mass Monday, 11:30am, St. Thomas More Catholic Church, 8035 S. Quebec St., Centennial. Memorial donations suggested to Little Sisters of the Poor, 3629 W. 29th Ave, Denver, CO 80211 or Tennyson Center, 2950 Tennyson St., Denver, CO 80212. Vivian’s family extends a special thanks to the beautiful people at the Timbers at Holly Creek, who took exceptional care of our Mother during her last months. For full obituary please visit HoranCares.com.